For 30 years, John Constantine has served as a necessary corrective to ghost story orthodoxy. When things go bump in the night, he bumps right back. 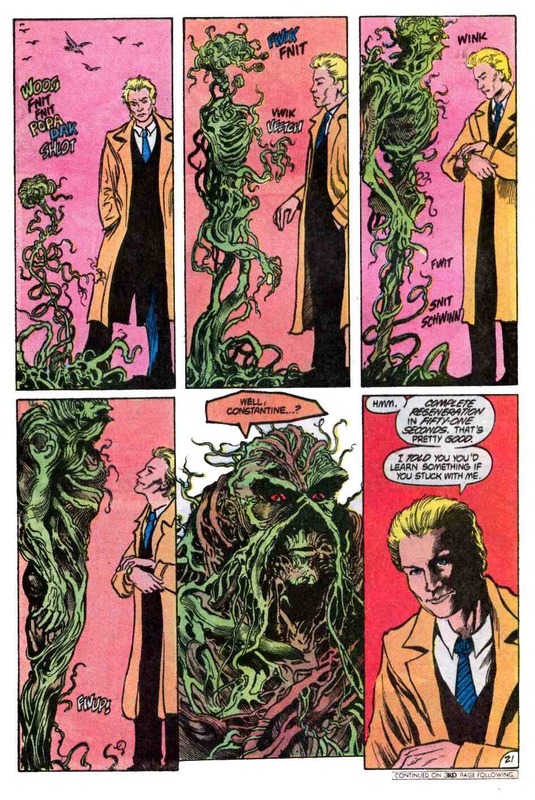 The DC Comics stalwart burst out of the pages of Alan Moore’s Swamp Thing in 1984 and has remained virtually unchanged ever since. He’s a loutish, English, chain-smoking “occult investigator,” forever in a trench coat and loosened tie and forever tangling with all manner of demons — though usually the literal kind. (The one succubus Constantine was unable to defeat? Hollywood, which neutered his persona and character in the dreadful Keanu Reeves movie of the same name.) Until it came to an end last year, Constantine’s solo title, Hellblazer, was a bleak, often brilliant compendium for some of comics’ most outré ideas from some of its most outré talents. Yet even though Constantine has traveled to the pits of hell and back again in his life as an occult investigator, he’s never before braved a landscape as bleak as American network television. A new series, aptly titled Constantine, premieres tonight on NBC and, at first blush, it’s not hard to think of it as little more than Heckblazer. There’s a voluntarily enforced smoking ban on the broadcast networks, so our John has to make do with limply flicking his lighter. And though star Matt Ryan’s stubble suggests an all-night bender with monsters (or at least some Monster Ale), his ivory-white shirt and perfectly pressed coat are more suited to a job interview than an exorcism. But don’t give up hope just yet. Thanks to some bright performances and some impressively disturbing visuals, Constantine is potentially more than the sum of its dark arts. Tonight’s pilot gets the heavy lifting out of the way early. Constantine has checked himself into a Northern English insane asylum, the better to try to forget about the little girl he accidentally damned to hell – which, despite the look of it, is not also located in Northern England. But because both the plot and the budget demand it, soon Constantine, a self-described “petty dabbler,” has checked himself out and is jetting off to Atlanta in order to save the daughter of an old friend. With his shock of blond hair and brummy accent, Ryan (a mostly unknown Welshman) certainly looks the part. Though I imagine it could get old in a hurry, I rather enjoy the way he barks all of his lines, whether he’s explaining himself to a shrink or hollering nonsense Latin at a fire-demon, in exactly the same tone: like a man trying to order a third lager at a Premier League fixture. Constantine is joined in his quest by an apparently immortal driver named Chas (played by Charles Halford, better known as True Detective‘s spooky Reggie Ledoux) and bedeviled by a meddling angel named Manny (played by Keep Getting Them TV Checks all-star Harold Perrineau). He’s also, briefly, partnered up with the aforementioned daughter, Liv (Lucy Griffiths), until, all of a sudden, he’s not. Sometime between sending the pilot out to critics and beginning production on Episode 2, NBC decided to swap out Liv with an entirely different companion, Zed, to be played by Angélica Celaya. But rather than shoot the whole thing over, tonight’s episode ends with one of the all-time great TV mulligans. You’ll know it when you see it. Thankfully, the visuals that precede that bit of silliness are a lot more memorable. The first hour of Constantine was directed by Neil Marshall, the occasional Game of Thrones director who is to action scenes what Ser Gregor Clegane is to skulls. 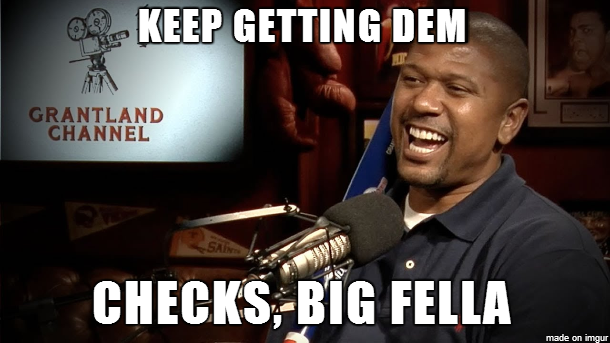 (Look it up. Or, actually, don’t.) Though there are no swords here for Marshall to swing, there is plenty of sorcery: amulets that feed on blood, spirits that are fueled by electricity. Marshall’s best decision was to imagine the paranormal as a flickering nightmare world lurking just beneath the benign cover of our own. Wherever Constantine goes, that nightmare tends to burst through in arresting, terrifying ways: a haunted train ghost-riding the rails, a possessed corpse going H.A.M. in the back of an ambulance. Of course, it’s hard not to daydream about more interesting extremes, human and otherwise, that’d be permissable if only Constantine were on cable instead of NBC, but I’ll take one of Constantine’s quips over gratuitous gore any day. Besides, showrunner David S. Goyer has experience delivering adult thrills in a PG-13 setting from his time writing Batman scripts for Christopher Nolan. And anytime Constantine seems to settle for tweener purgatory, Marshall’s camera is there to tug it back down in the right direction. Of course, Marshall didn’t direct the next few episodes, and NBC hasn’t shared any of them. That’s a fairly large, worrisome cloud of brimstone to navigate, especially considering that next week’s episode will have to do the normal work of a pilot all over again when it introduces Celaya’s Zed and attempts to establish a(nother) new status quo. But NBC has done well by crafting a complementary block of frightening dramas on Friday nights, rightly assuming that those who haven’t gone out are perfectly happy to freak out in the comfort of their own homes. Tonight also marks the fourth season premiere of Grimm, a modest hit for the network that remains more or less impenetrable to me. (I watched tonight’s episode and saw what appeared to be Dr. Zoidberg menacing suburban Portland. It wasn’t bad, but it did feel a bit like wandering into someone else’s cosplay party.) Constantine has a lot more potential, but the two shows are cut from the same culty cloth. Together, they make for a consistent, low-stakes evening of cheerful horror. It’s the devil you want to know.